It is April 15th, so you have a few precious hours to finish digesting the estimated 70,000 pages of information (most of those come from additional helpful guides, but the core tax code is around 4,000 pages) necessary to hack off the third of your income that must be given unto Caesar. Coincidentally, it is also Wednesday, so that means time for Daily Turismo's mid week match-up, and today you are going to find the best cars to stick it to the man. Grey market, diesel title, surplus army tank -- whatever floats your boat, but just be careful when you are sticking it to the man, that it doesn't land you in a jail cell where the man sticks you. 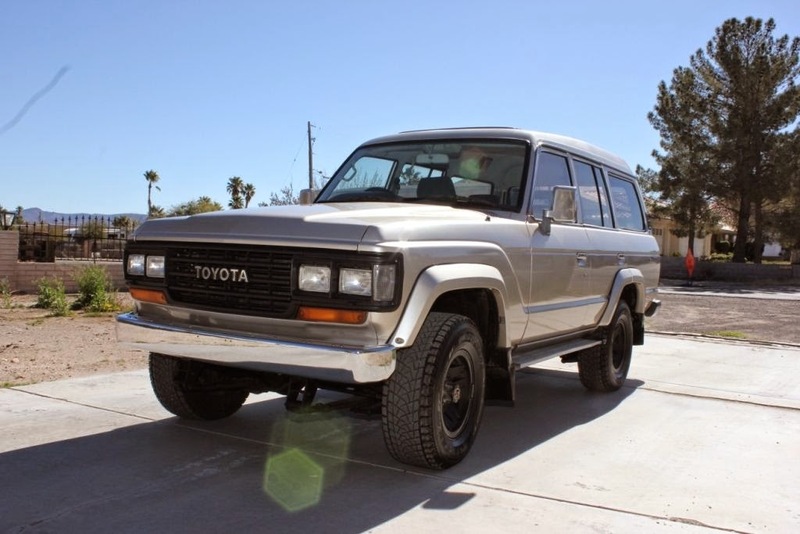 My vehicle of choice is this 1988 Toyota Land Cruiser offered here on eBay for $11,900 buy-it-now or make-offer, located in Las Vegas, NV. Not only is this thing the 12H-T turbo diesel but it is also right hand drive (originally from Japan). It is ready for a fire breathing V8 swap that isn't necessary legal in California, but the diesel title means it is free from smog inspection or testing. What would you buy? Comments below. Funny related tangent. The "Hummer Deduction" has been neutered a little this year. If you have your own business and bought a new vehicle with a GVWR of 6000+ lbs, in the past you could take 1st year depreciation of $25k + bonus depreciation. Still though, for those who own businesses and buy new, it would be financially crazy to buy anything with less than 6000 lbs GVWR for their primary business vehicle, given that for a $50k vehicle, you're talking a $3k 1st year deduction for a passenger car and a $30k first year deduction for a "heavy" vehicle. This rule is the primary reason the BMW X5 had a GVWR of exactly 6,001 lbs when it came out. Sorry, I was unclear in my post above. The $25k first year deduction is still there, but the bonus depreciation (that was usually a substantial sum of money) is now gone. Yep, got a friend who's an insurance broker, every three years it's a fresh Range Rover. a) As noted above, something big and deductible. b) A Tesla Model S P85, charged from your rooftop PV solar, wherein you're taking advantage of The Man to pull subsidy dollars from your fellow taxpayers' and ratepayers' pockets, you're shouldering your way into the carpool lane with no one but your corgi for companionship, etc. You could argue that one of the little EVs, a Fiat 500e or Nissan Leaf, is even more of a thumb in your fellow man's eye as the subsidy you're getting represents a greater percentage of the vehicle's price, but in Tesla's case the taxpayers are subsidizing not only your acquisition of the vehicle but also their manufacturing facility. d) Something noisy and thirsty registered under the SB100 kit-car exemption. Can you tell me, if you buy that "heavy" vehicle for $50k, take the depreciation of $25k, and then sell it 18 months later for $35k, do you have to pay capital gains tax on the profit? I believe you'd have to recapture the excess depreciation, but I'm not a tax accountant, nor do I play one on television. Hardly the original choice, but this rare NISMO edition of the GT-R just popped up in Houston. 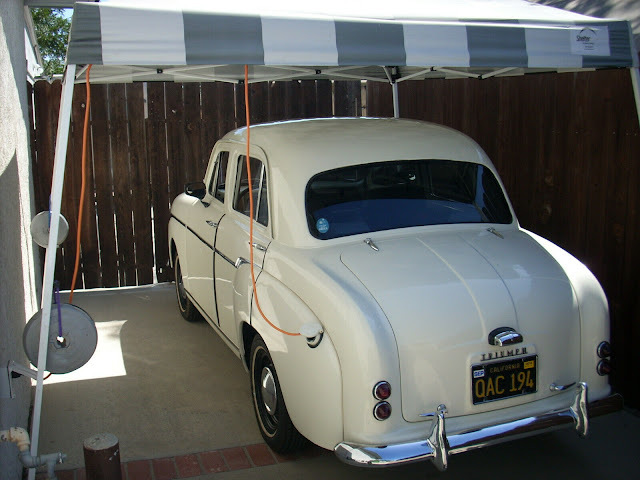 I always liked maintaining residency in a non-smog state, and driving my cars in CA. I paid flyover state insurance rates and drove smog-belching crap-wagons around SoCal for close to a decade. According to CA motor vehicle code, I was well within the law being active military with a primary residence out of state. I couldn't find anything cool but I found this thing. What is that little keyboard? I just got solar put on my house roof. I guess it is time for me to buy an electric car to stick it to the man. How much does a fisker karma go for now days? 3-4 thousand dollars? Yeah, WTH is that piano thing? The keypad is the controller for a programmable horn. Like this one! It would be rather cool to be blasting out the Rondo Alla Turca as you ooze through the traffic up to one of the onramp metering lights on 101. Soon as the light goes green it's the Hallelujah Chorus. Tired of pulling up to Mickey d's for a refill? I don't understand this Mid-Week Match-Up at all. What does it all mean and why aren't there more green M&Ms in the package? I'm so confused! Is this what you're looking for?